Start your day off right with the BEST granola! 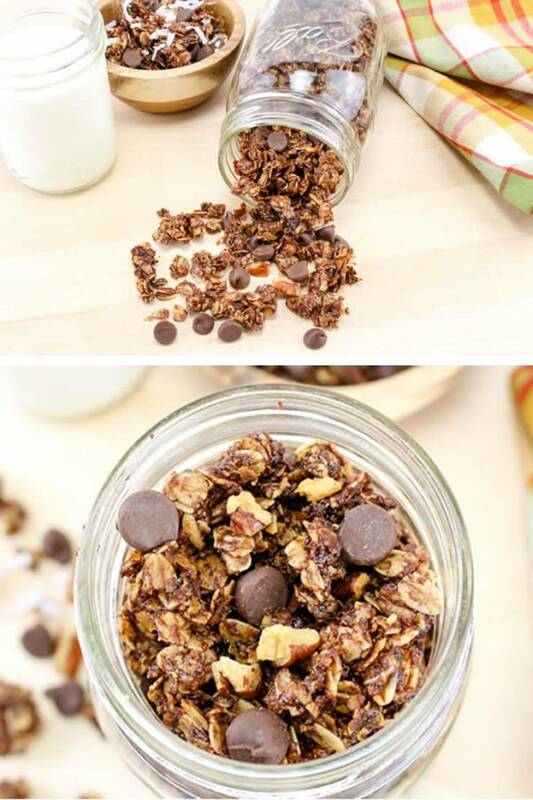 Simple and easy homemade Nutella granola. 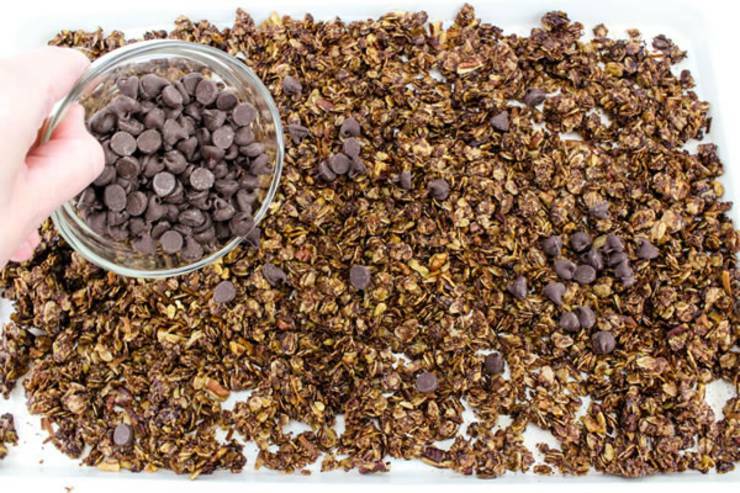 A quick granola recipe that will satisfy even the picky eaters. 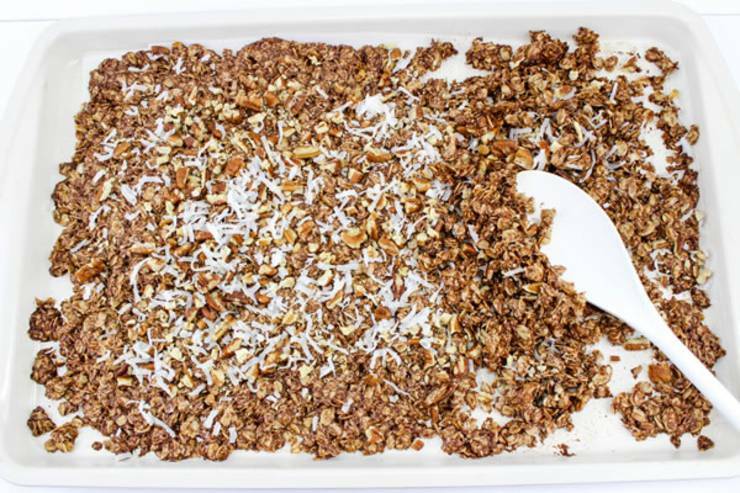 A super yummy granola idea that will be loved by all. Make ahead and you will have a great grab and go breakfast (if you can refrain from eating it all)! The great thing about this amazing recipe is that you know what is going into your granola so no preservatives or processed ingredients! This is a great recipe to make for yourself but it also makes a great gift. Place granola in mason jar for the BEST mason jar gift idea – add a cute tag & give as a gift to family, friends, co-workers, neighbors. 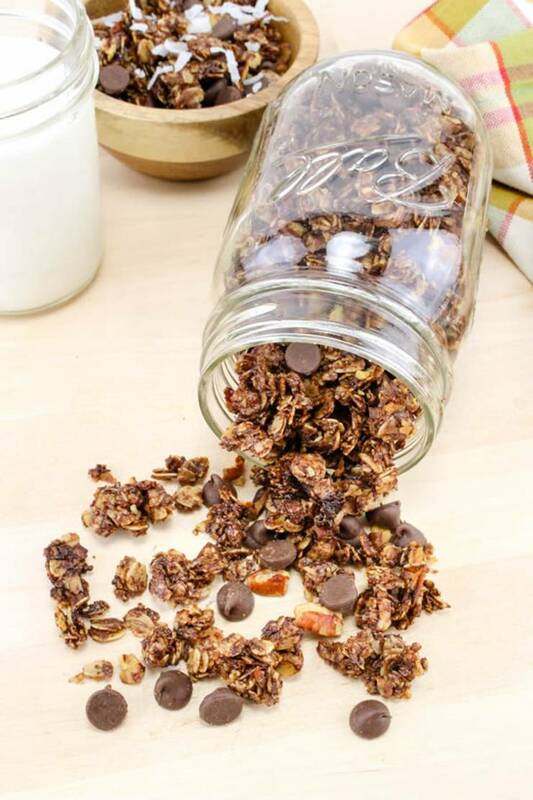 So settle in and check out this amazing DIY granola recipe…..Nutella granola! until it all melts together and is smooth. 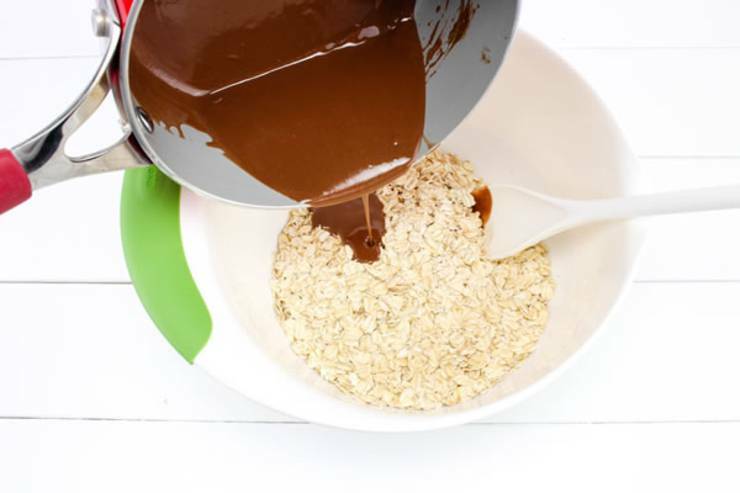 Remove mixture from heat – add to the rolled oats and mix well. Spread out on a baking sheet lined with parchment paper and place in oven. back in oven for an additional 10 minutes. Once done, take out and let cool completely, then mix in the chocolate chips. 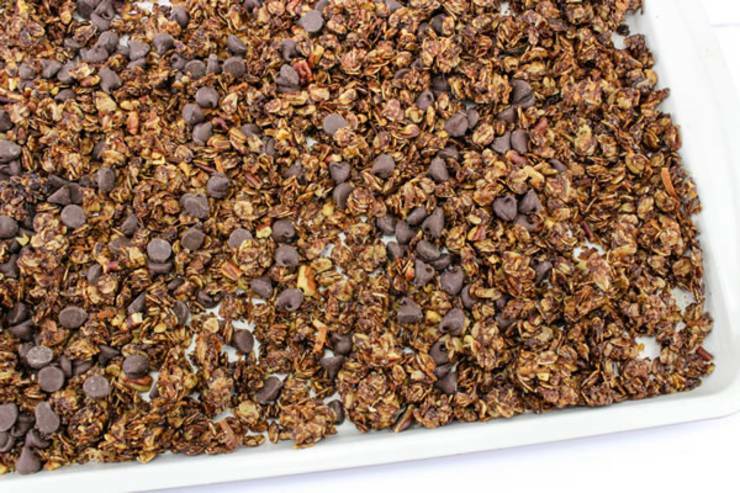 Enjoy your homemade Nutella granola – great as a snack, breakfast or dessert. 2. Add the rolled outs to a mixing bowl and set aside. 4. Spread out on a baking sheet lined with parchment paper and place in oven. 6. Once done, take out and let cool completely, then mix in the chocolate chips. 7. Store in airtight container. (Mason Jar works great) Enjoy! Ready to cook up some the BEST granola? 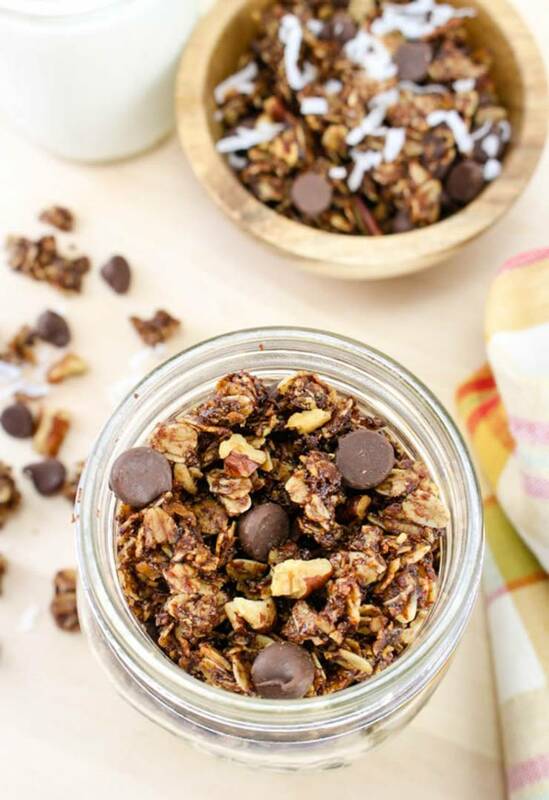 You can’t go wrong with Nutella granola that is homemade. 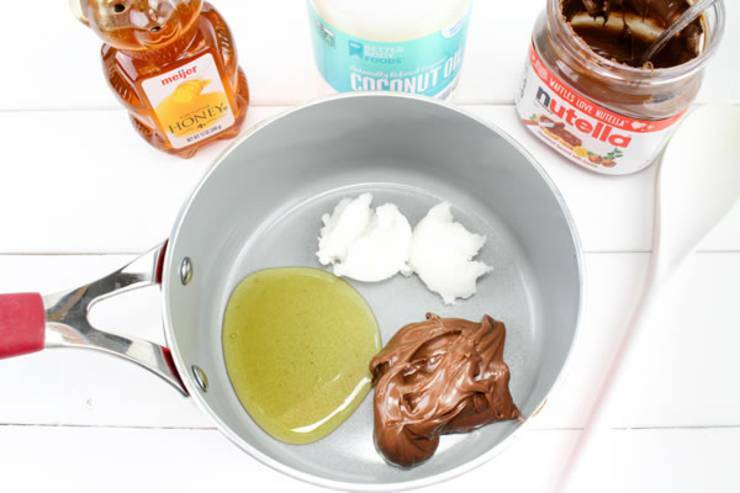 You can make these into Nutella granola bars as another option. Enjoy this sweet treat for breakfast, dessert or tasty treat. 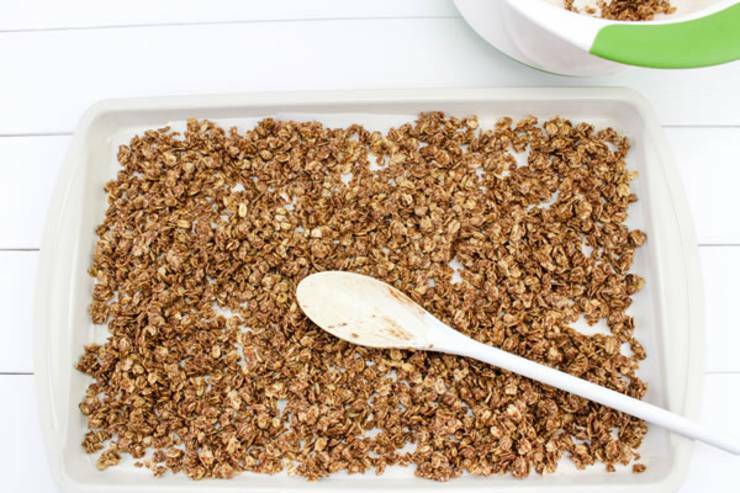 Kids, teen, tweens and adults all love this granola recipe. 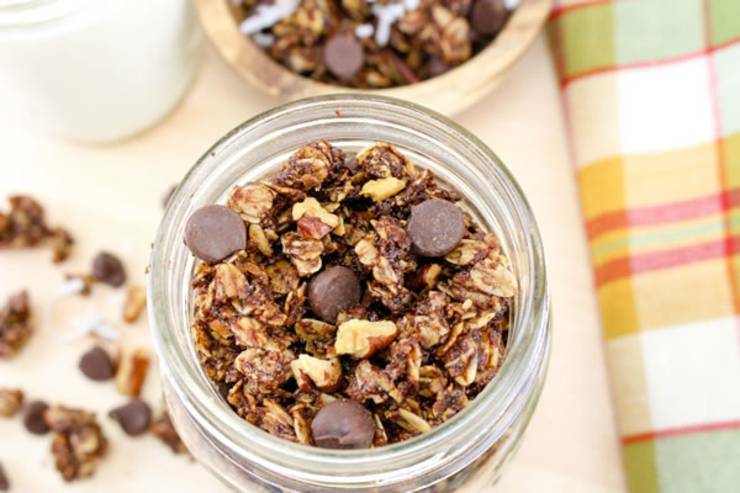 Switch out the oats and use gluten free oats to make this granola recipe gluten free! When people are looking for granola here are some things that look for: easy granola recipe, granola recipe honey, granola muesli, crunchy granola recipe, healthy granola recipes, Barefoot Contessa granola recipe, crunchy granola recipe, how to make granola clusters, granola recipe peanut butter and best granola bar recipe.For other granola recipes and ideas you can search Pinterest you can find: granola bars, granola clusters, peanut butter granola, keto granola, pumpkin granola, paleo granola, low carb granola, vanilla granola, chocolate, maple, honey, coconut, almond, pecan, vegan granola, granola bites, grain free granola, crockpot granola and more.